Shopping for Star Wars Kitchenware? That's not the droid you're looking for... but it is the kitchen tool you must have! Made from durable acetate, this handy worktop saver makes a hygienic, odor, heat, and stain resistant temporary kitchen work surface ideal for chopping, dicing and delivering coded holographic messages to the New Republic. Except maybe that last part. 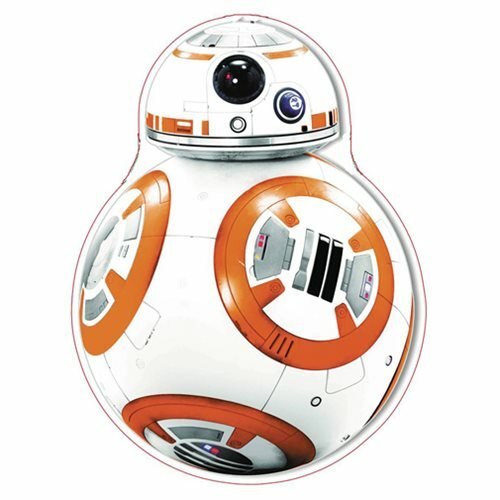 The Star Wars: The Force Awakens BB-8 Glass Cutting Board measures 12-inches x 10 1/2-inches. Ages 13 and up.